My Book Tour recently hosted a stop on the Finding the Raven by Patty Dickson Pieczka Book Tour. Patty's back to share some thoughts about her book, her writing process and more in her author interview! Welcome, Patty! Please tell us about your current release. Thank you for inviting me to your website. 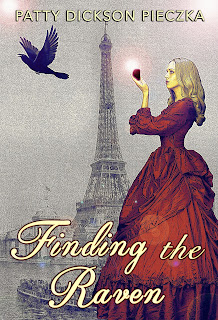 Finding the Raven is a historical novel that takes place in 1904 against the backdrop of the St. Louis World's Fair. Woven through a plot of murder, intrigue, romance, friendship and atonement is a thread of magic and discovery of forces greater and more intriguing than those in the visible world. Julia's life changes dramatically when her father dies suddenly onstage. With her inheritance swindled by a lawyer, Julia has no time to grieve but finds work at a sewing sweatshop and lodging in a run-down boarding house. There she meets Rose, estranged from her wealthy family because of her pregnancy. Though from completely different social classes, Julia and Rose form a deep and lasting friendship as they struggle for survival with help and guidance from a magic stone Julia finds in with her papas things. I was inspired by my grandparents' era, and most particularly by my great uncle, who was a hobo and wrote of his travels to the St. Louis World's Fair and across the country to live with Native Americans. I imagined who he might have seen in St. Louis and what he might have done, though he didn't appear as a main character in the book. I enjoyed researching the times, and at the Southern Illinois University library, I found newspapers from April 1904. I wondered what it would be like to have answered ads from the classifieds at that time. So in my story, I used actual excerpts from old newspapers and went in search of "what if." I've returned to poetry for now, but I'm considering writing more about the Raven. Who owned it before? Who has it later? Might it transport Julia to another time? What kinds of secrets will it unravel? I'm letting the questions drift through my mind until a concrete plot line surfaces. Read it because it's an exhilarating feeling to slip away into its pages and stroll back in time, to lose yourself in an era of clip-clopping traffic, floor-length skirts and feathered hats, to see a man in a morning coat, a shiny pocket watch chain hanging from his silk vest, as the voices of long-ago people become real and vivid. I've always loved to write, and English was my favorite class. When, as an adult, my best friend died of cancer, I began writing poetry, which came in the form of dreams at first. My father was a very prolific poet who lived in the Chicago area, so I grew up with poetry. I loved (and still do) the feel of words, the surprising word, interesting phrasing and unusual word usage. I love looking for magic, for the "almost possible," to open an idea and release its white doves. I write with an audio device, because I have a bad back. So I read the thoughts out loud, transposing them from my mind to the computer. My husband walks through the room and gives me odd looks. I imagine I must sound like one of those people you see in subways arguing with themselves. When I grew up, in the 50s, they still had elevator operators. I thought it would be fun to ride the elevator all day, turning the huge wheel and feeling the elevator bounce as it stopped at each floor. Not much of a goal, it's true. Not long after that, I fell in love with the cello and played for years. While in college, I experienced an ugly episode of sexual harassment from a professor. I refused his advances and accepted an "F" for his course. In the social climate of the 70s, I didn't think anyone would care or believe me, so I dropped out of school and started a small rental business. Years later, after my best friend died and I began to write poetry, I decided to return to school, majoring in creative writing. I believe everyone should try their hand at writing a novel, because it teaches compassion on some level for each and every character. As writers, we have to understand the motivations for even the most heinous person who walks through our pages. Another interesting phenomenon in writing fiction is that the characters begin to take on their own lives, surprising us with their actions. Our job, as writers, is to stand back and let them do as they will, to stay out of their way and follow cues as they arise, allowing events, characters and their feelings guide the story. I've always loved the quote from Robert Frost, "No surprise to the writer, no surprise to the reader." "This tourmaline of yours is not only a gemstone, but its crystal properties are highly sought after in experimentations with radio waves and other technical advancements. Industry would pay you well for this, so you should be cautious and keep it with a bank. Also, they say this type of tourmaline is used by sorcerers and soothsayers, if you believe such things." "I do. I knew there was something special about it." "In that case, there's someone I'd like you to meet. Would you come to the World's Fair with me tomorrow? I'll introduce you to her." "Yes!" Julia hoped she did not sound too eager. He laughed while she wrote down her address using the pen and paper that were on the counter. 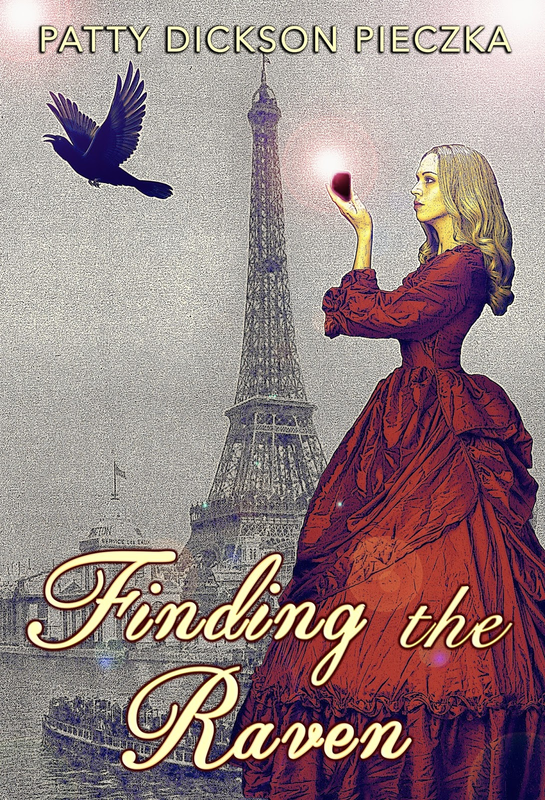 My Book Tour recently hosted a stop on the Finding the Raven by Patty Dickson Pieczka Book Tour. Patty's back and sharing some thoughts about her book, her writing process and more in her author interview! That night Julia looked into the black crystal. She saw a raven flying. Its beak held colorful ribbons that streamed behind, sparkling like rubies and gold and sapphires. They twirled and spun, spilling over black feathers — an exotic bird winging toward the horizon, smaller and smaller, pulling the sunset with it until all that was left was one singular crimson speck. 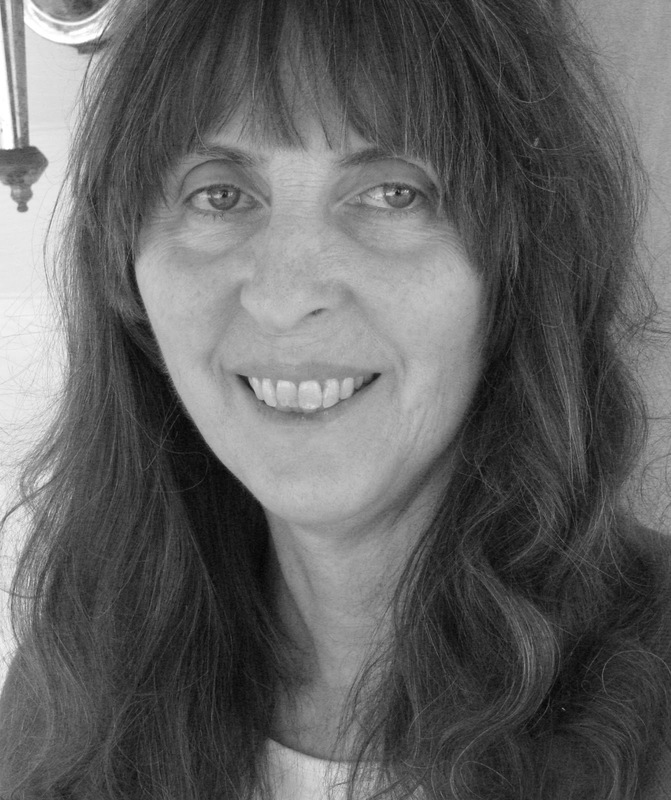 Patty Dickson Pieczka's second book, Painting the Egret's Echo,, won the Library of Poetry Book Award from Bitter Oleander Press. Other books are Lacing through Time, and Word Paintings. Winner of the Francis Locke Memorial Poetry Contest, the I SPS contest, and the Maria W. Faust Sonnet Contest, she's contributed to over fifty journals and graduated from Southern Illinois University's creative writing program.